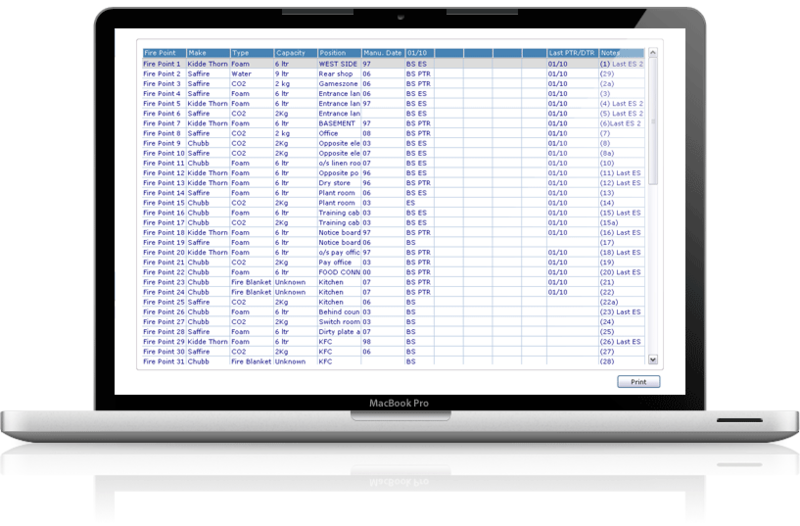 If you are evaluating Tesseract then you will want to take a look at our asset tracking and bar code solutions – which let you manage your customers’ asset registers and sell them an additional value-added service. 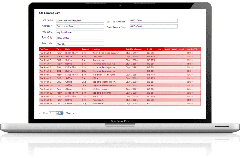 To maintain an up-to-date accurate asset register that reflects the frequent movement of appliances from one location to another (such as fire appliances), we provide the engineer with labels to attach to each location and each appliance. We also equip the engineer with a paper sheet of bar codes to allow them to add and update equipment details and location quickly and easily. 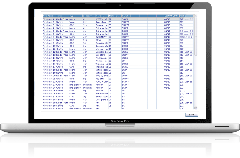 The PDA bar code reader will allow them to scan each item and its location rather than manually key in the details. 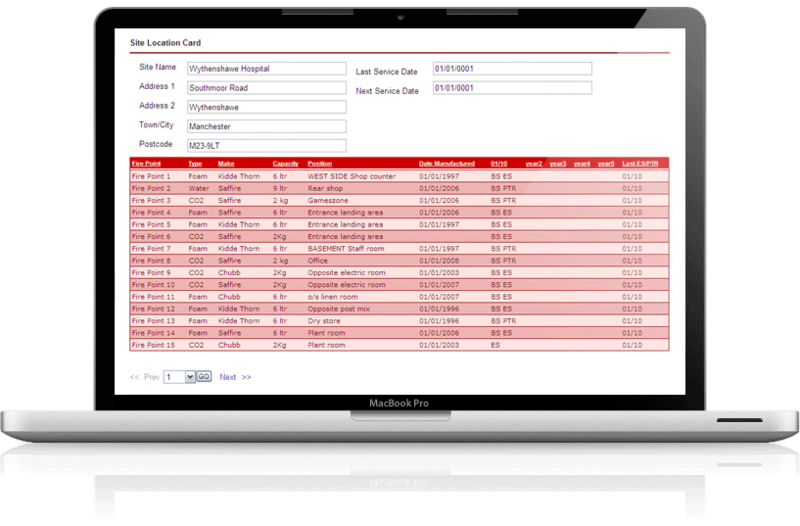 In this way you can maintain your customers’ asset registers quickly and easily on every engineer visit. The screens below demonstrate how this process works. 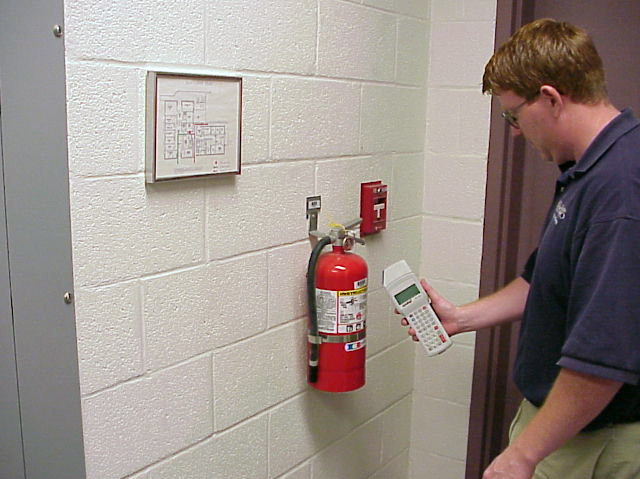 We have used fire extinguishers as the example scenario but the principle can be applied to any type of appliance as well as providing control of spare parts and stock. 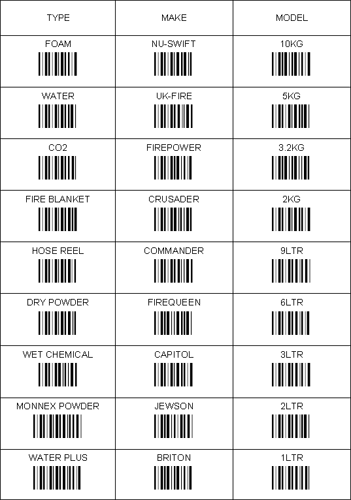 The engineer uses the Bar Code sheet to scan each new appliance to add it to the database quickly. The Engineer clicks 'Add Appliance' and scans their sheet of bar codes to set the Type, Make and Model. The engineer adds a bar code label to the appliance and scans it. This links the appliance type, make, model and Fire Point to the appliance bar code number, as shown below. 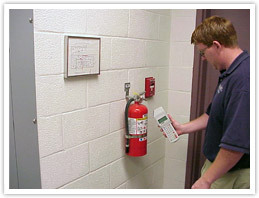 The engineer can then scan a bar code sheet of actions to log the action they have carried out on the appliance. In the above example this is a Basic Service (BS). On subsequent visits, the engineer will simply need to bar code scan the appliance, check the location (and change it if required) then scan the action taken to log their work. When the engineer synchronises their PDA with the central database, the new details of each appliance and the action carried out against it are updated automatically as shown in the screenshot to the left. This in turn feeds the appliance information through to the customer web portal so that staff at Wythenshawe Hospital can log on, view and print the information via Internet Explorer. They can also export all appliance data to Excel for further manipulation.